Check out the following websites for more wonderful, amazing resources on travel. Welcome Nepal Treks and tours Pvt. Ltd.
Członkowie Wysokogórskiego Klubu w Katowicach twierdzą, iż to najlepszy klub na świecie i nietrudno w to uwierzyć widząc tak sławne nazwiska jak: Chmielowski, Dziędzielewicz, Abgarowicz, Momatiuk, Furmanik, Kiełkowski, Kukuczka, Pawłowski, Wielicki, Sas-Nowosielski, Muller. To miejsce naznaczone takimi indywidualnościami wpływa na charakter i atmosferę klubowych spotkań i dokonań górskich, które są czołowymi, jeśli chodzi o polskie i światowe wyczyny alpinistyczne, a także dają piękne fundamenty w historii tego sportu. To firma założona w 1990 roku przez trzech himalaistów: Artura Hajzera, Janusza Majera i Ryszarda Wareckiego. Firma specjalizuje się w produkcji całej linii turystyczno-odzieżowej. Wytwarza wysokiej klasy plecaki, kurtki a także sprzęt do wysokokwalifikowanej turystyki górskiej. Od kilku lat firma wprowadziła produkcję i sprzedaż odzieży i sprzętu służących do uprawiania sportów przestrzennych jak i do wszelkiej aktywności na wolnym powietrzu.powietrzu. I have been browsing your excellent Blog and just wanted to say that you have some excellent content on there, I hope you keep the updates coming as it makes fantastic reading! I was wondering if you would please consider adding my website to your ‘Information’ page. 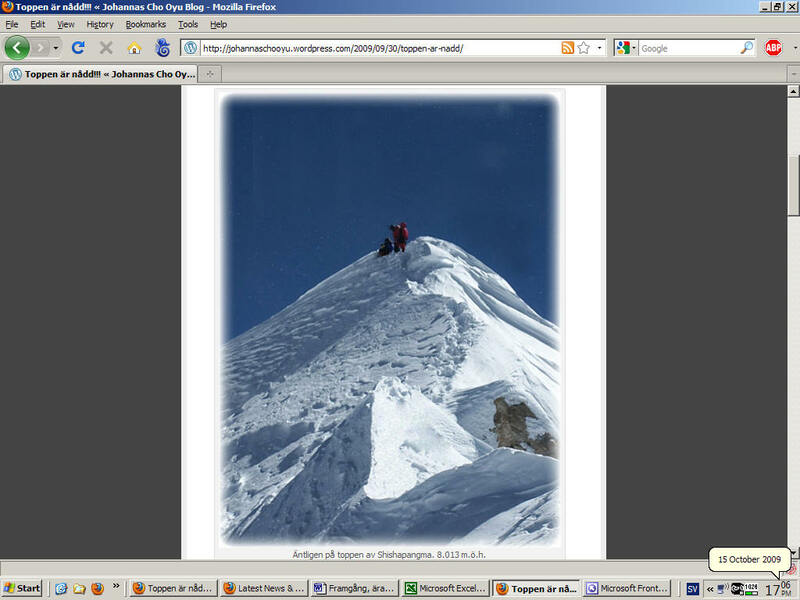 My website is all about the British history on Mount Everest with lots of very useful information. 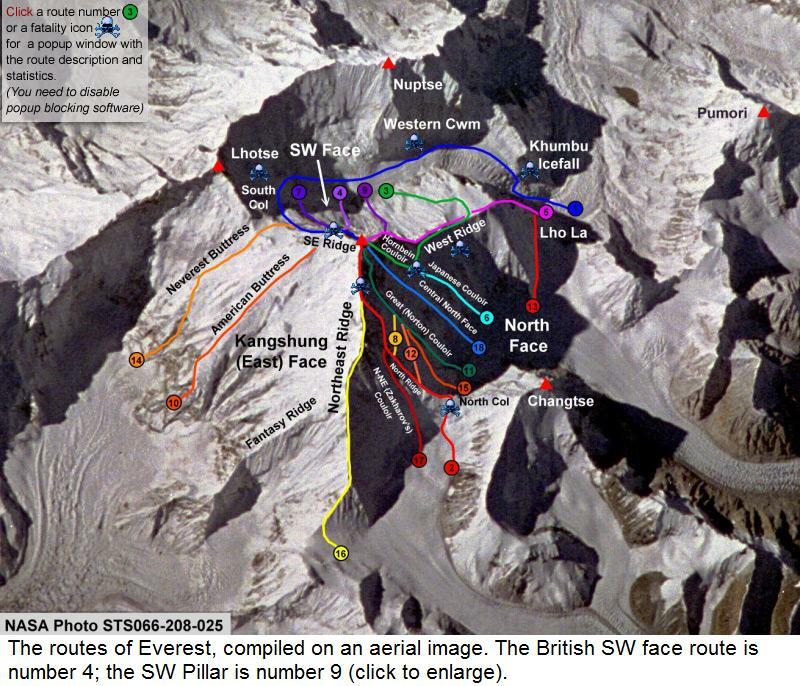 Description: For all facts, stories and events concerning the British on Mount Everest, we will provide all the answers. On this site you can learn about the British on Mount Everest, from their first expedition to their modern expeditions of today. Includes history, summiteers list, facts and a gallery. Please take a quick look and let me know what you think! We are organizing the mountaineering, trekking, rock climbing, tours, group in Pakistan last thirty five years ago. My name is known legend and king of karakoram Little Karim all over the World. Now I run my own tours company Namely Travel Amazing karakoram. In the beginning year we deal only few expeditions and trekking groups in Baltoro and Latoks areas. It was very Great pleasure and unforgettable adventure. Our all Clint are very Happy and satisfied with our Good familiars and hospitability service. For This summer we have few groups are conform and still some inquiries for expeditions and trekking .it all credit going to our last year service. We look forward to your response for our side. If you like to sent any group. We will give you attractive package and excellent service as per your demand. Hope your nice and cooperative response thanks. It will be very helpful for me to understand him better if you have and inform me his personal data (like, information of his climbing carrer) of Luis M Barbero (Spanish). Please take a look and stay up to date with my Everest preparations. Good morning/evening Sir. My name is Adrian P. and I am the PR manager of TheRioContest.com. We would like to invite you to have a look at our contest and tell us your honest opinion about it. My name is David and I work at an open data company called Factual. I’m reaching out because I’d like to offer you access to our FREE Hiking Trails Finder and database. 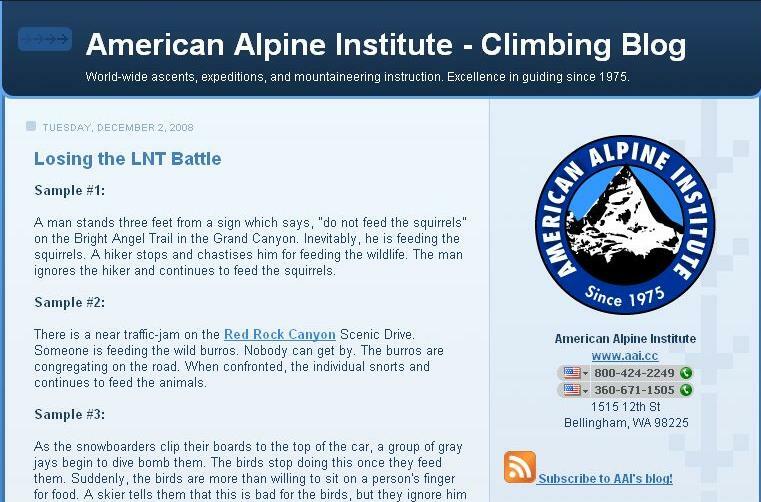 I came across your website while doing research on outdoor lifestyle sites. There are no contracts or costs – our goal is to become THE hub for open data online, and we are trying to make publishers and developers aware of the data we have available. The data on our platform is correctable, shareable, and free. Embedding the tool on your site is very simple: just click on “embed” in the upper left corner of the page and follow instructions. There are other ways to access our hiking trails data as well. I’d be happy to speak to you more about our service if you have time for a call, otherwise please let me know what questions you have and I will do my best to answer them. Check out Dean’s rad new video http://www.youtube.com/watch?v=BXT05R0WVQM and feel free to Share or Post it! 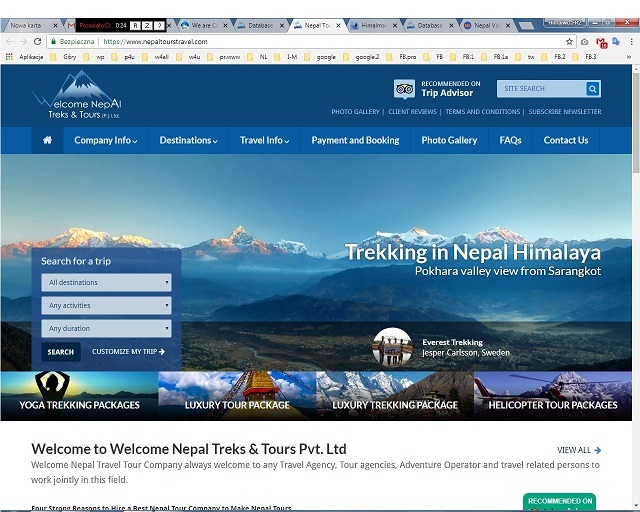 Dear webmaster could you please add follwoing details of mine as we are Adventure Specialist for, Nepal Trekking, Trekking in Nepal, Nepal Peak climbing, Mountain Expedition, Everest Trekking, Annapurna Trekking, jungle Safari in Nepal, Rafting in Nepal, Tour to Bhutan and Tibet. Great list and information thanks for sharing..
Hi, we have a great documentary airing on Nat Geo at the end of November featuring Adrian Hayes and his ‘3 poles’ expedition. We have lots of footage and interviews which would fit in well to your wesite and i’d like to discuss this further. I’d like to direct you to our online channel on Adrian Hayes, a UAE based record breaking adventurer. All the content is free to download and embed should you wish you share the videos (especially the videos on Mt Everest) with the people who visit your site. Any questions, do give me a shout. Would be good to know what you think of the content. Good-bye. I am waiting for your answer. 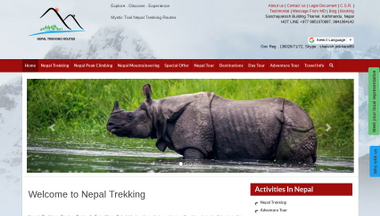 Nepal Environmental Treks & Expedition : Best Leading Trekking Agency in Nepal. Heya i am for the primary time here. I found this board and I in finding It really useful & it helped me out much. I am hoping to present something again and aid others such as you helped me. 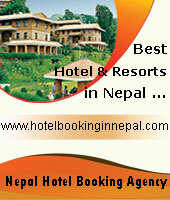 Responsible Travel Company in Nepal. Organizing Nepal Trekking, Travel, Ticketing, Trekking Nepal Information Portal and also promotes Mount Kailash Tours and India Tours. Hey I am so happy I found your weblog, I really found you by error, while I was researching on Bing for something else, Regardless I am here now and would just like to say thank you for a remarkable post and a all round exciting blog (I also love the theme/design), I don’t have time to read it all at the minute but I have bookmarked it and also added in your RSS feeds, so when I have time I will be back to read more, Please do keep up the fantastic work.